You are not alone. Each year millions of Americans are injured at work. Work injuries range from improper lifting, falling, sitting improperly, repetitive stress or other traumas. 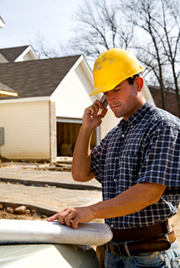 Back injuries are the number one work-related injury in the United States. Workers Compensation plans show that more than twice as many work injury claims are made for back injuries than any other type of injury. Studies have shown 85% of the population will experience disabling back pain at least once during their lives! If you are injured at work in the state of Ohio you are able to choose any doctor that you want as long as they have been certified by the state to treat workplace injuries. All of our physicians are certified by the Ohio Bureau of Workers Compensation. If you have been injured at work simply call and schedule your appointment; our friendly staff will help you with all of the paperwork. Your care is covered at 100% so there is no out-of- pocket expense. What do workers compensation studies reveal? To date there are over 60 well-documented studies that prove that chiropractic care is the safest and most effective way to treat injuries of the spine. Time after time it is a fact that the typical patient will get better in half the time if they see achiropractor for a spinal injury instead of going with more traditional care. Below you will find case studies from around the United States. C. Richard Wolf, M.D. compared 500 people sent to medical doctors and 500 sent tochiropractors. The chiropractic patients returned to the job after 15.6 days, while those under medical care remained disabled 32 days. Claims from 10,000 cases showed: under standard medical care the patient was disabled for 59 days and under chiropractic care that number dropped to 39 days. Because of the shortened disability time the average cost of chiropractic care was less than half that of medical care for the same conditions. An Oregon study revealed that under medical care 41% could return to work after one week, but under chiropractic care 82% were able to return to work after one week. Patient satisfaction was also higher in the group treated by chiropractors. A study of 3,062 back injury claims revealed chiropractic care cost a fraction of what medical care would have cost. People under medical care returned to work after 21 days, those under chiropractic care returned to work after 3 days. Symptoms from a car accident often show up long after your car has been repaired. 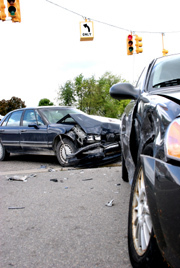 Pain from an auto accident can linger for years, if its cause is not corrected. Almost all Americans will be involved in at least one motor vehicle accident at some time in their life. Often we are able to walk away free of injury…or so we may think. Learn about the little noticed symptoms that can result in permanent pain and discomfort if their cause is not corrected. Call Graceland Chiropractic and schedule an appointment today. The road to wellness begins here.